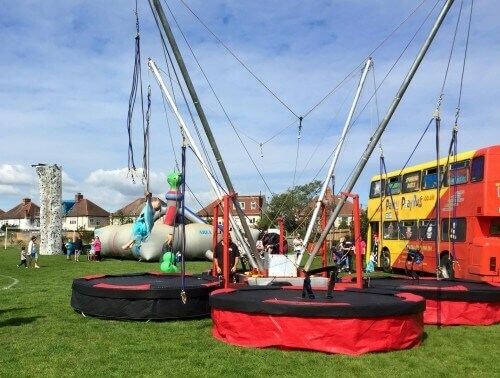 Monster Event hire is proud to present the 4-in-1 Bungee Trampoline. A unique and exciting leisure activity derived from the world of extreme sports. It’s simple fun and allows 4 users at any time. 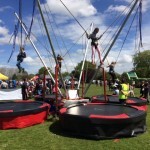 – The participants climb up onto the trampoline and are strapped into a comfortable waist harness. 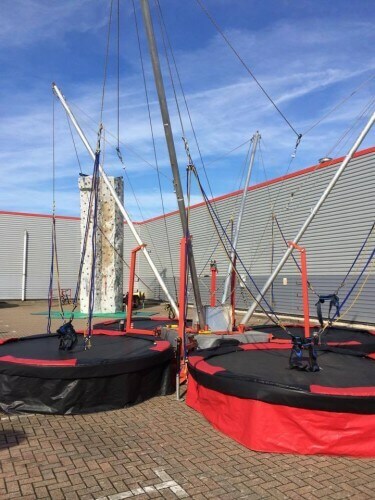 Once secured, they’re winched up into the air on the attached bungee-cords and then the fun begins they are free to experiment with acrobatic movements, or to simply jump as high as they can, all under the supervision of our fully trained staff who will ensure the safety throughout your event. 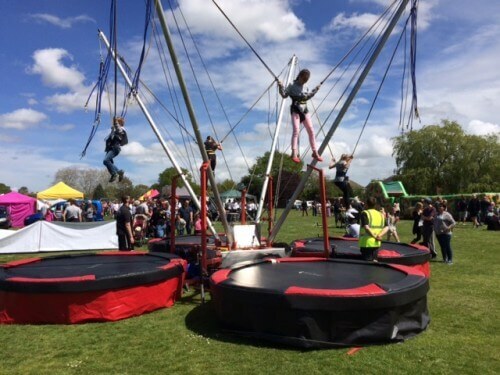 The ‘4-in-1’ bungee trampoline is hugely popular throughout the summer at Company Fun Days and promotional events. 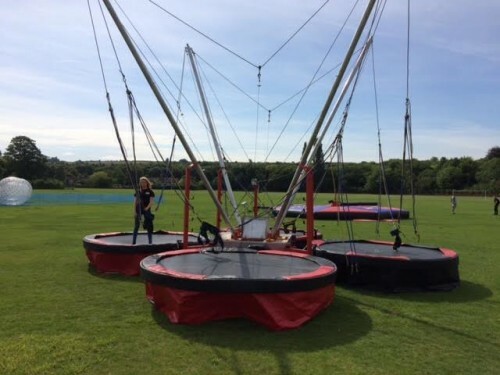 If you would like the to hire the Bungee Trampoline to appear at your event / party / summer fair please contact our team on the number below or the query button and our team will be more than happy to help. Fully operated by 2 members of Trained Staff. Full drivable access is required.